Which charities will my money be going to? Refugee Action provides support to refugees and provides platforms for them to speak out. Just £7 could help a refugee find a room. 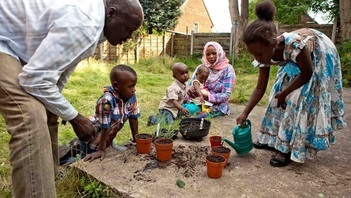 ​Migrants' Law Project promotes fair treatment and access to justice for migrants, refugees and asylum seekers in the UK. Click on the links above for more info on each charity. How much money will go to charity? Are the nuts good value for my money? ​No. Because we are donating 100% of the sales to charity, you will not be paying VAT on any of the products you buy...and VAT is as high as 20%! ​We are offering Natco and Big-D products which include a large and varied selection of nuts and snacks. We also offer healthy products such as chia seeds and quinoa, and treats such as dark and milk chocolate. Why has Natco Foods donated their products to charity? At the end of every year, Natco donates the majority of its profits to charity, and they want to make it easier for their consumers to be a part of this generous scheme. Will the shipping costs also be donated to charity? Yes, if orders are below £30, the £3.50 will go to charity. But remember, orders over £30 include free shipping! I don't live in the UK - can I still buy nuts from this shop? Yes you can, but you'll need to email us directly at sales@humancapabilityfoundation.com to make an order. How often will HCF make donations to the charities? HCF will make monthly donations to the two charities. What if I want to make a large order with lots of packs of the same product? You can email sales@humancapabilityfoundation.com and they can give you cheaper prices for multi-pack purchases. If I have any queries with my order, who can I contact? You should email sales@humancapabilityfoundation.com and someone will get back to you as quickly as possible.